"Investment in knowledge pays the best interest." (Benjamin Franklin). Learn and progress with XM! Develop your trading skills on a daily basis with the guidance of an international team of acknowledged tutors, who lead you through every step of online investing from the very basics to professional level. Our three custom-built education rooms provide you with exactly what you need as a trader: daily live interactive training from Monday to Friday, with all topics covered; up-to-date information; and real-time practical guidance. The systematically designed syllabus of each education room helps you not only develop but also strengthen your skills to achieve your goals by learning and progressing with essential knowledge at hand. Learn before you earn! Join the education room that best suits your needs and learning rhythm to gain a clear understanding of how online trading works in practice. is the measure of progress. Whether you are still new to online trading or simply want to strengthen your knowledge about the bare essentials, our Primary Education Room provides you with all the knowledge that helps you get on track. Learn with us about the fundamentals of the major asset classes, including forex, bonds, equities and commodities so you understand the mechanisms of the world markets and price movements. Get familiar with the basic notions such as pips, lots, leverage and margin to the actual account opening and trading on the MT4 and MT5 platforms of XM. are key for higher performance. Once you have gained a solid grip on the basics, the daily live sessions of our interactive Intermediate Education Room help you develop the exact strategies needed to acquire strategic thinking and interact with our experts in real time. Get to know all about Ichimoku Kinko Hyo, the Bollinger Bands, the Avramis River, the Avramis Ribbon, ADX and the Parabolic SAR. Get all your questions related to online trading, or to technical or fundamental analysis techniques answered by the Trading Expert himself. Our Advanced Education Room is the place to be for traders whose aim is to get the real feel of online trading in action. Two times a day, this is where you can gain the real trading room experience you have always wanted to have! With real-time simulated trading conditions learn how to use multiple time frame techniques and indicators, charting techniques, multiple market analysis tools; and last but not least, how to take your trades to the next level with the much sought-after algorithmic automated trading tools of Tradepedia. Legal disclaimer: This information is not and should not be construed to be an investment advice relating to CFDs. XM will not make CFD recommendations to you of any kind. XM will only provide you with information on how CFDs work, as well as general market information for currencies and other Underlying Instruments. The material does not contain a record of our trading prices, or an offer of, or solicitation for, a transaction in any financial instruments. XM accepts no responsibility for any use that may be made of these comments and for any consequences resulting in it. No representation or warranty is given as to the accuracy or completeness of this information. This information set out herein should not be regarded by recipients as a substitute for the exercise of their own judgment as the information has no regard to the specific investment objectives, financial situation or particular needs of any specific recipient. Tradepedia is solely an educator providing training on the theory of analyzing financial markets and its services and products are for illustrative, informational and educational purposes only. It provides training based on its theoretical analysis of markets and then provides theoretical examples of how a trader might choose a trade based on the theories taught by Tradepedia. Each and every trade example shown by Tradepedia is hypothetical and subject to the limitations of hypothetical results. XM aims to establish, maintain and operate effective organisational and administrative arrangements with a view to taking all reasonable steps to prevent conflicts of interest from constituting or giving rise to a material risk of damage to the interests of our clients. XM operates a policy of independence, which requires its employees and/or counterparties to act in our clients’ best interests and to disregard any conflicts of interest in providing our services. The Company reserves the right, at any time, in its reasonable discretion, to block/reject the participation of any Eligible Party (i.e. client or potential client) to the Live Education Rooms if such a Party uses inappropriate, offensive and/or abusive language. As an enthusiastic online trading educationalist, as well as an authoritative voice in price action trading and inspiring personal coach, Avramis Despotis has been active in the financial markets for over two decades. He is Founder and CEO of Tradepedia LLC and also an expert instructor in technical analysis, risk management and behavioural finance. He has mentored over 20,000 private and institutional traders in the past many years. His technical analysis reports and signals are highly sought after by retail traders and stock brokers across Europe, Asia and the Middle East. Avramis acquired the title of Certified Financial Technician from the International Federation of Technical Analysts. He is a member of the British Society of Technical Analysts, is certified by CySEC for Portfolio Management and Own Account Trading and holds an MSc. in Finance. With a decade of interbank experience, in 2009 he founded Tradepedia LLC trading academy, which has become by now one of the top leading online investing educational institutions and which also distinguishes itself for providing automated software, market reports and trading signals. 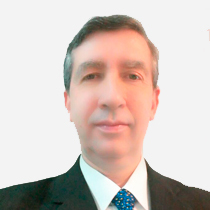 Avramis’s expertise is regularly called upon by top-tier global firms such as the Interarab Cambist Association (ICA), the National Commercial Bank, Arab Bank, Emirates NBD, Abu Dhabi National Bank, MENACORP, to only name a few, in order to provide expert-level training to their top traders, fund managers and risk assessors. As a specialist in stocks and derivatives, Avramis correctly predicted the drop of the Western stock markets in 2007 and their subsequent rise in 2009 and the MENA region’s drop in 2008 and rise in 2013. A long-time trader in his native Greek stock exchange, he publicly predicted the drop of the stock market from 2500 to 500 points in 2010 and the subsequent rise to 1300 points in 2013 and its fall to 750 in 2014. 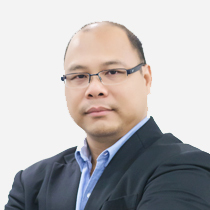 Mario Pashardes, Director of Asia and Chief Strategist of Tradepedia LLC, plays a crucial role in generating successful technical market reports, creating new product lines, and using effective teaching techniques to coach traders of all levels. He has a strong background in quantitative analysis from his studies at the University of Southampton where he graduated with a BSc. in Economics and Econometrics. He is also schooled in organizational innovation using technology from his studies at Birkbeck University of London, where he received a MSc. in E-Business and Innovation. 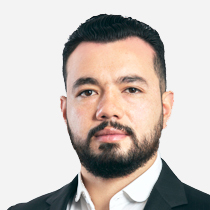 Mario also obtained the qualification of Certified Financial Technician from the International Federation of Technical Analysts (IFTA) and he has been a member of the British Society of Technical Analysts since 2011. 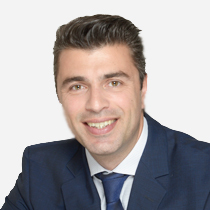 Since 2010, under the guidance of his mentor Avramis Despotis, Mario has developed a highly disciplined approach to investment strategies and has acquired considerable experience in the application and development of rigorous trading systems in currency, equities and commodity markets. His technical analysis reports are distributed to financial firms within the industry and used by traders worldwide on a daily basis. 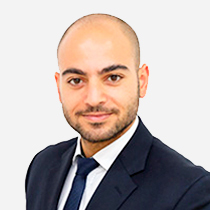 Mario has been teaching technical analysis, risk management and behavioural finance to students ranging from beginners to institutional traders, private investors, and portfolio managers across Europe, Asia and the Middle East. His approach blends traditional and innovative teaching methods, allowing technical concepts and techniques to be communicated to students in a simple but highly effective manner. Mario’s approach to trading highlights the importance of continuous research and a deep understanding of the global financial markets in order to achieve success. He focuses on evolving sustainable risk-adjusted returns throughout the market cycles, while continuing to successfully prop trade in the forex and equity markets. 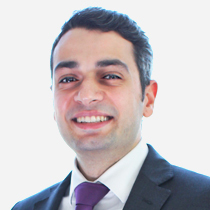 Habib Akiki is the Senior Market Strategist of Tradepedia LLC and head instructor for the MENA region, whose 10 years of experience covers foreign exchange, money markets, fixed-income securities, tradable commodities, equities, and derivatives on the global markets. He is a Certified Financial Technician who holds the CFTeII Diploma from the International Federation of Technical Analysts (IFTA). Besides his Bachelor of Business Administration degree with a concentration in "Banking & Finance" from the University of Notre Dame, Habib pursued further academic development and obtained certificates in "International Securities", "Financial Derivatives", and "Investments & Risk" from the UK-based Chartered Institute for Securities & Investment (CISI). 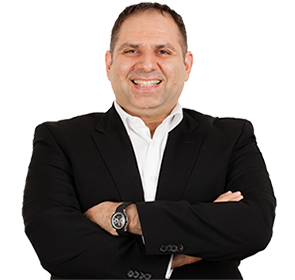 Habib is the professional media speaker of Tradepedia LLC, and his market views are highly recognized by local and international TV channels and business magazines. 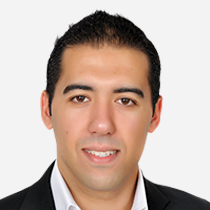 As the Technical Analysis Instructor of Tradepedia LLC, Nizar Chaibi is responsible for the region of North Africa and the Francophone countries. By virtue of his expertise in the financial markets and a solid six year-long experience working as a EUR / USD specialist trader in the trading room of a subsidiary of two of the largest French banks, Banque Populaire and Caisse d’Epargne, Nizar brings along a solid knowledge that he shares with all those who wish to acquire advanced knowledge in online investing practices. Nizar plays an essential role in teaching about the discipline of technical analysis and in assisting the various financial market participants in developing their online investing skills, as well as supporting them with professional guidance in their decision-making process. Born and raised in Athens, Greece, Charalambos holds a Bachelor’s Degree in Architecture from the University of Brighton as he also holds a Master’s Degree in Architecture from the University of Oxford. Charalambos has been the co-owner and founding member of a company operating in the design, development and construction of non-commercial buildings in the region of Attica since 2004. He developed a keen interest and got deeply immersed in the capital markets during his studies, with special respect to the application of technical analysis in various financial products. Additionally, he has also attended all courses of Tradepedia since 2009. This journey led him to actively and successfully managing his own equity since early 2010, followed by his studies to acquire investment management certification and start actively managing client funds. 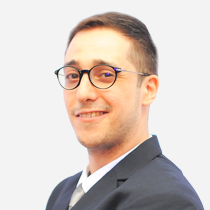 At Tradepedia LLC, Charalambos is a full-time instructor and technical analyst with decisive responsibility, in charge of the analysis of the fore and CFD markets. His favorite strategies include automated systems in order to scan the markets and evaluate trends, as well as manual systems in search for optimal online investing opportunities. As instructor of technical analysis at Tradepedia LLC, Jarek is in charge of the Latin American countries. He is a seasoned trader specialized in futures and money management in the US market, specifically at CME, with extensive knowledge in technical analysis, risk management and trading psychology. Additionally, he is a programmer and developer of indicators and trading strategies. Sompop graduated with a bachelor’s degree in Communication and Media, and he also holds a master’s degree in Information Technology. Since graduation he has been active in online marketing and media for over 10 years before getting acquainted with the financial industry. In October 2007, he founded the biggest Thai forex forum that introduced several thousands of Thai retail investors to the world of online forex trading. Since then he has been in close collaboration with XM and since 2015, he has been the official professional instructor of XM in Thailand. Born in Mexico City, with German and Brazilian descent and fluent in Spanish, English, German and Portuguese, Karl graduated with a degree in law from the Monterrey Institute of Technology and Higher Education. He has been actively involved in the financial sector for over 15 years, and also completed studies in the field of technical analysis of stocks, options and derivatives, with specialization in forex. As an Executive Coach with graduation from the Erickson Coaching International Institute in Vancouver, Canada, Karl uses his coaching expertise as a professional forex instructor. Currently, he is the Tradepedia Instructor for Mexico. Jonathan has been actively trading in the forex market since 2010 and brings along a solid knowledge and experience that he utilizes as a professional forex instructor, whose aim is to help beginner retail traders succeed in their online investing endeavours by sharing what he has learned from own experience. In the past many years, he has played an active role as the online webinar instructor of XM and as key speakers of forex seminars throughout the Philippines, imparting his knowledge to many hundreds of local traders. 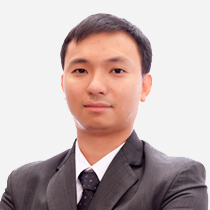 Jonathan is founder of the Philippines Association of Forex Traders Inc., and currently he is the Tradepedia Instructor for the Philippines. Mohamed Ragaa, the instructor of technical analysis of Tradepedia LLC for the MENA region, brings along over eight years of experience in the financial markets. He has worked as Technical Analyst and also as and equities and fixed-income trader for one of the top brokerage firms in Egypt, covering different markets. Mohamed holds a bachelor’s degree in Business Administration with specialisation in Management Information System, as well as a master’s degree in Business Administration with specialisation in Investment Management from one of the top universities in the Middle East. Mohd is a professional instructor and full-time trader with many years of experience, providing education for many hundreds of traders across Malaysia. He has a degree in Mechanical Automotive Engineering from the International Islamic University Malaysia. His strength is his unique ability to apply his business acumen to understand the knowledge and skills needed in the financial industry. He also designs and delivers his automated programs in a way that excites and motivates participants to start acquiring new skills and set up individual trading systems suited to their trading styles. Mohd has been actively involved in the financial industry, especially in forex, since 2012. 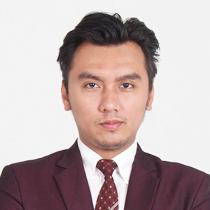 With much experience in online business, Mohd is also founder of Ingenious Trading Mastery, delivering education in a variety of forex events with focus on the use of fundamental analysis, technical analysis and risk management. As an active online trader and instructor, his aim is to ensure that the knowledge he imparts allows traders to achieve more success with up to date knowledge.